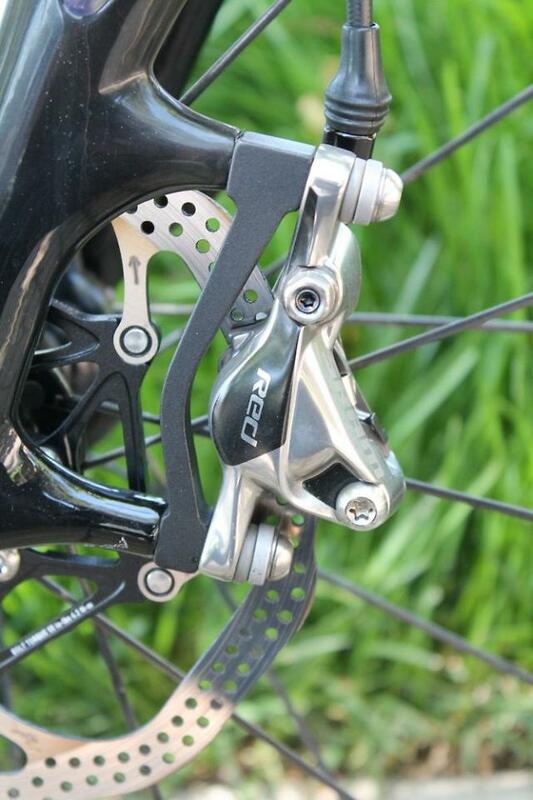 A New Take On Road Bike Brakes - Hydraulic Disc and Rim Brakes from SRAM! The Rumors have been confirmed! 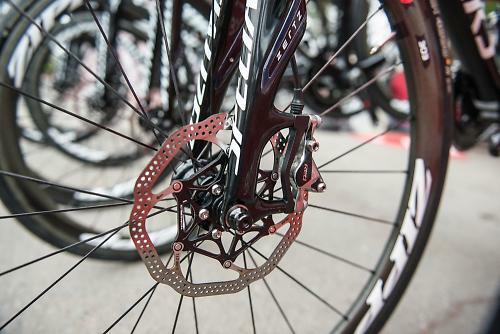 SRAM announced recently that their new SRAM Red Groupset will feature hydraulic disc (or rim) brakes. 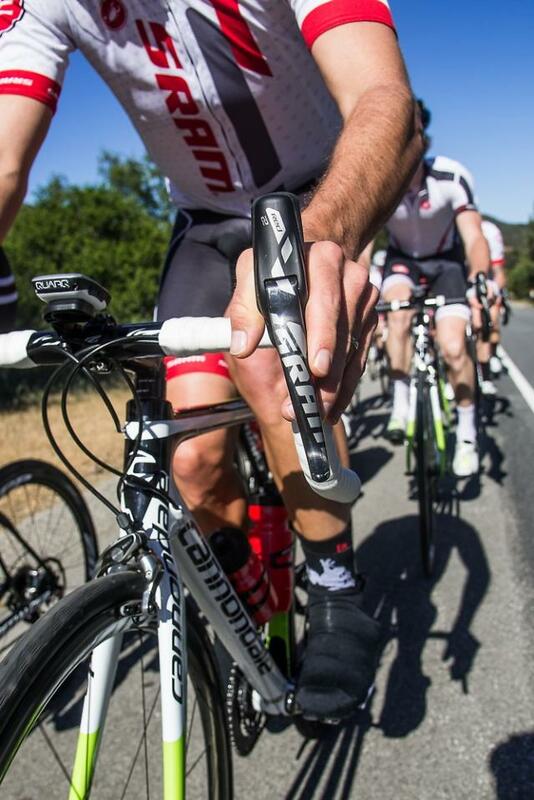 Why have SRAM decided to introduce hydraulic systems for the road? They made sure to emphasize these three points in a press conference last week: power, control, and modulation. Mat Brett with www.road.cc was able to sit down with SRAM's project manager Paul Kantor who further explains the desicion making behind the new designs. Kantor begins by describing the ideas that went into the new design. He says that SRAM liked the concept of putting disc brakes on road bikes but weren't sure of it's benefits or draw-backs. The guys at SRAM built a hydraulic coupler into a stem [to standard mechanical levers], put it on a steel cyclocross frame and experimented. While the hydraulic brakes lived up to SRAM's expectations, but the design was unnattractive and bulky. Their solution: make it fully integrated. Later in the interview, Mat poses another question: If hydraulic rim brakes feel so powerful for such little effort at the lever, why would people want to go for disc brakes on the road? Kantor responds with a compelling argument: "Our hydraulic disc brake has a higher braking force at every lever force than a mechanical brake on an aluminum or a carbon rim, and more than our hydraulic rim brake. You can provide quite a bit more force for less hand effort and that's really what we like about most hydraulics. We think that Red mechanical and Shimano Dura-Ace mechanical brakes are pretty comparable, but with a hydraulic rim brake you are able to exceed that braking performance. On a disc brake we can create eve more force for the same lever effort. It's much more consistent wet and dry too because we are braking on a steel rotor that's consistent time and time again. That's where discs come into their own. CEN (The European Committee for Standardization) requires that there's not more than a 20% drop off between wet and dry on a rim brake and we improve that substantially on a disc brake. It's more like a drop of 5-8% in bad conditions. Plus, it's a sealed system that's consistent over time. You can run a rim brake engaged at about 550W for 6 minutes and you'll burst the tyre. [...] You can run a disc brake at 900W for 11 minutes and the brake doesn't boil and the tyre doesn't burst. 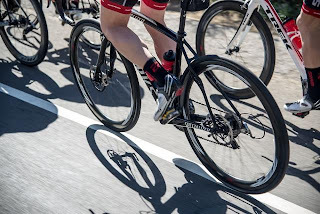 Once you start adding up all these testing elements you start to see more and more opportunity for a disc brake to exceed what's already out there." You might be asking yourself: Why not just go for discs, then? Mat replies to that also, saying that SRAM really likes the way rim brakes ride, and that they're all about choice. They want to put many good options out there to allow the customer to make the choice. He says hydraulic rim brakes may eventually win out over hydraulic ones, but he doesn't think so. When can you afford one? 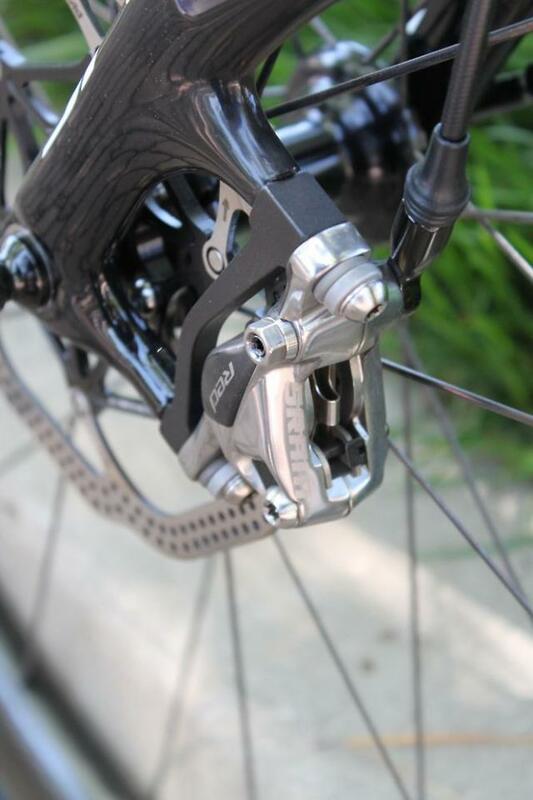 Mat predicts that hydraulic disc brakes will come down in price over the next 4 years to a 105/Rival price point. He says at that point they will have to decide to either: make a fancy mechanical disc brake or see if they can push the hydraulic technology down further. SRAM will be selling the rotors separately. They recommend a 140mm rotor for off-road and 160mm for higher speeds on the road. The weight is 449g per wheel (including lever, caliper, hose, and 160mm HSX rotor). The HHR caliper brake uses forged aluminum arms and a SwissSTop pad compound, and weighs in at 387g per wheel- lever, caliper, and 600mm of housing. 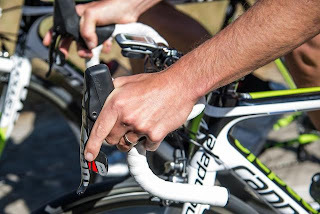 The new SRAM components should be available from May to June. SRAM sponsored pro teams will be keen for the teams to use the hydraulic brakes, although it will be the rim version as UCI regulations don't permit discs. 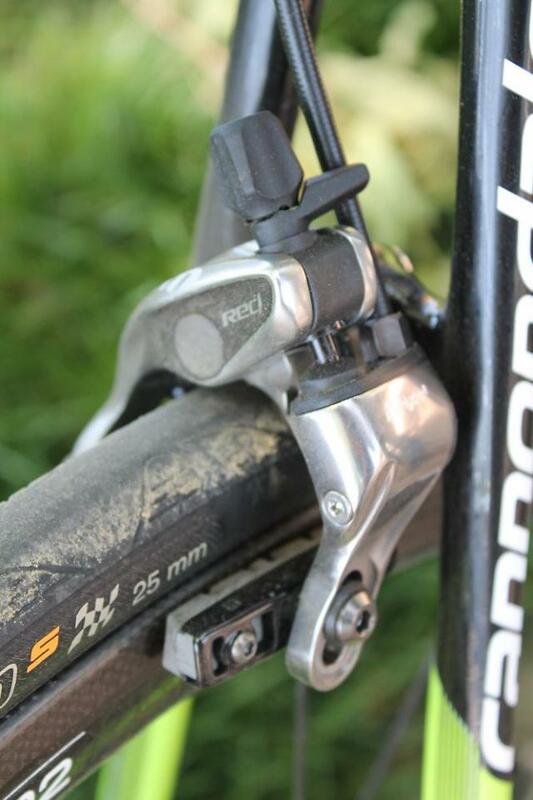 Stay tuned to the blog, we will be talking more about the SRAM Red 22 groupset.